East-West is looking for trip chaperones for our field trips. This is a volunteer position. Recently, the required ratio of students to adults changed from ten students per adult to six to one. We are short-staffed and in great need of community volunteers for our scheduled field trips. Volunteers must be available during school hours, 9 am to 3 pm, and be willing to accompany primarily high school students. After passing the screening process, you would be placed on an “on-call list” and informed of chaperone opportunities as they come up. Please contact our trip coordinator, Ms. Hartong, if you are a community member who would like to volunteer. Her email address is mhartong@ewsis.org . We have an urgent need for volunteers this upcoming Monday 1/31 for a 6th grade field trip to see the “Sounds of Korea” performance at the Flushing Town Hall at 9 am. Contact Ms. Hartong right away if you are interested. When I was told I was given the opportunity to go meet President Hu Jin Tao and First Lady Michelle Obama, it was a moment of complete bliss. All my years at east west just flew through my brain like a tornado. I was very grateful to everyone who made the trip possible. Excitement rushed into my heart, because it was the first time I would be visiting the nation’s capital. Washington D.C just had a certain ring to it that made me jump for joy. Over the course of two days China and U.S. relations was the only thing I could think about. In her speech, Mrs. Obama said that by studying abroad, students are helping to make America stronger. She quoted her husband, saying: “America has no better ambassadors to offer than our young people.” Mrs. Obama’s keynote was followed by a panel discussion with students who shared anecdotes of their experiences learning Mandarin and studying in China. Afterward, student representatives shook hands and chatted with the First Lady. The event, which took place on the campus of Howard University, coincided with the visit of Chinese President Hu Jintao to Washington, DC. Asia Society’s Confucius Classrooms were invited to this event because of their strong commitment to building an educational partnership with schools in China, supporting their students in learning Chinese, and sending them to study in China. More photos under the cut and more to follow! Last Thursday, we held a reception to officially unveil the inspirational signs that we placed throughout the school over the summer. The signs have quotes from influential leaders, which were voted on by the teachers and principal. The signs were produced using funds from our Gates Foundation grant. Councilman Peter Koo unveils a sign with a quote from Martin Luther King Jr. In attendance were Flushing community leaders, East-West staff, students Katherine Gutierrez and Brian Park, Councilman Peter Koo and Emily Kaiser, a reporter from the Queens Chronicle. The ceremony preceded a meeting of the Community Advisory Board, a crucial part of our school’s support network. The Community Advisory Board is comprised of Flushing community leaders who meet regularly with East-West staff to help guide our decisions affecting the school and community. 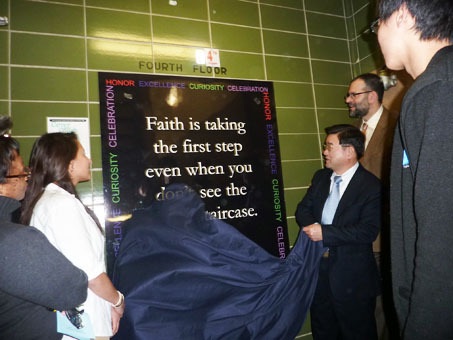 “Faith is taking the first step even when you don’t see the whole staircase,” reads one of nine new banners unveiled last Thursday at the East-West School of International Studies in Flushing. Faculty, students and community members on hand to celebrate the event hope those words of the Rev. Martin Luther King Jr., and others, provide inspiration as the small school continues to grow. 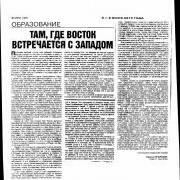 Click here to read the article in its entirely. There are some new art displays near Mr. Marini’s room. A particularly tasty one explores popcorn. Students examined everyday popcorn in a series of sketches. On another board, Mr. Marini learned about differences in brain functionality by participating in an assignment in which students had to draw the same face using only their right or left hands. Ms. Park, our high school guidance counselor, has been working diligently behind the scenes with many of our students on a variety of issues. She counsels students individually and in groups. One of the skills that Ms. Park counsels students on is organization. During one of these sessions, she has the student create a monthly calendar, in which the student must reflect and write down different assignments and upcoming exams. In addition, she teaches the student what to do if s/he is absent from school and needs to make up work.Here is a quick activity, inspired by Ms. Park. Give index cards to your class and then ask them to write down the names and obtain phone numbers of three classmates. This way, students always have someone to call in case they are sick and need to get information on assignments. On January 13th, ten of our EWSIS students attended the 51st Korean Night Gala & Korean American Day Celebration. We sang American and Korean National Anthems in front of approximately 1,000 guests. Mayor Bloomberg, Chancellor Black, and City Comptroller John Liu were there together with many other renowned leaders of our community. Our students sang gracefully with confidence. We enjoyed ourselves and it was a great experience for all of us. The trip to the 51st KAAGNY Gala had truly been a memorable experience. 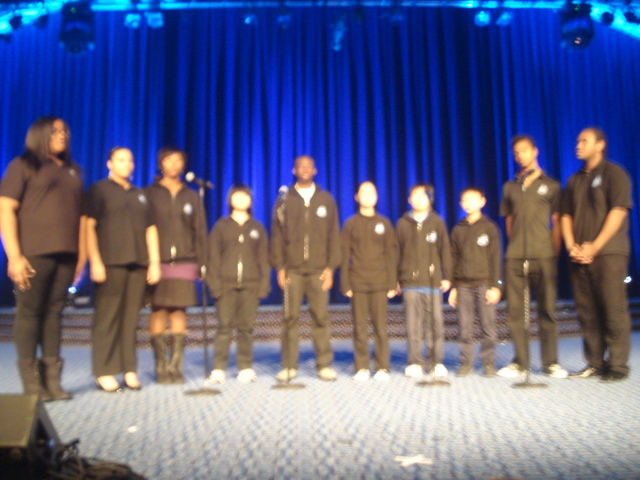 We went to the Marriot Hotel to sing the Korean and American national anthems in front of many people. We had seen Mayor Bloomberg and seen Korean dances that represented parts of the Korean culture. Just from being there was a great experience as I’ve got to see new things that I never saw or heard before. I myself am Korean and this event helped me to learn a few more facts on my culture such like the Korean anthem. It was a frightening and thrilling experience that allowed people from different cultures to connect with Korean culture and so made this event very memorable. I went to a Gala to celebrate the fifty-first anniversary organized by the Korean American Association of Greater New York. It was lots of fun because the venue was really beautiful. I felt proud to represent my school in front of almost 1,000 Korean-Americans and influential figures in NYC. This was a great opportunity for me and the nine other EWSIS student to publicize our school to the Korean American community. Continue reading for more student impressions on the event! Click on the thumbnails to see them at full-size.